… the “liver of veal, Venetian style” was absolutely delicious and again the portion was actually quite satisfying. Generally, I would not expect that you get liver – tasty one – for a bargain price like CHF 28.00. The liver was not overdone but perfectly prepared and very rich in its simplicity. 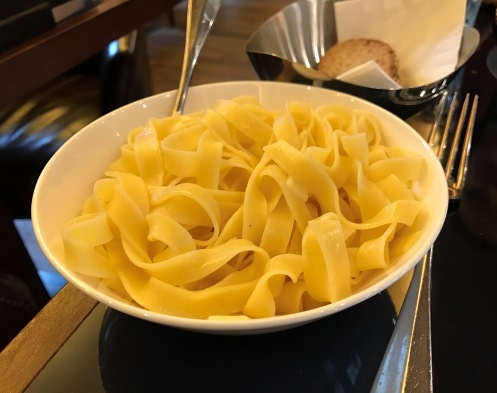 The “tagliatelle” were soaking in butter – which made them an absolute sin! But also absolutely mouth-watering! This time, we were seated in the “open” area close to the bar as we had not booked a table. The area is less practical to eat but it is actually more atmospheric. Overall, I can still recommend the MASI Wine Bar for a quick business lunch. 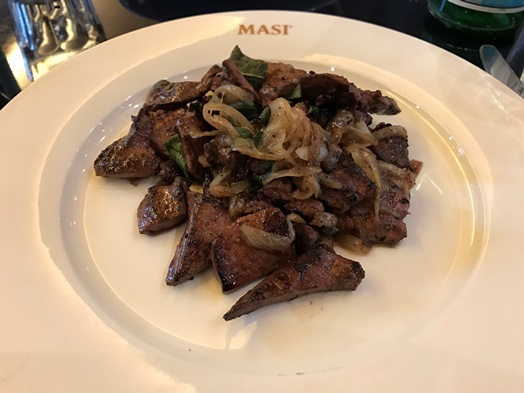 1 Comment on "Liver, Venetian stlye – mind-blowingly tasty: MASI Wine Bar (23. 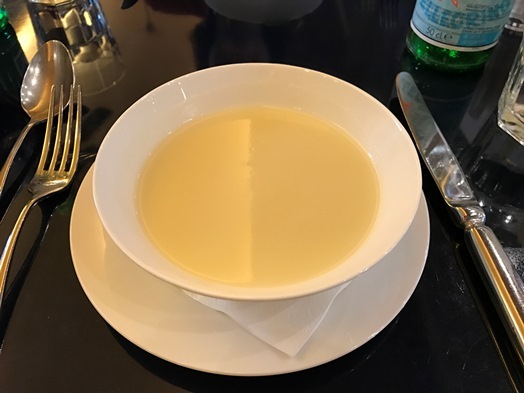 January 2017)"
I had the Venetian style veal liver at Masi in January 2018 and it was stunning. Paired with a rich and creamy polenta this was without doubt the best liver dish I have ever eaten. I still thinking about it now. As Sven said in the article, without any exaggeration – mind blowing!